Composer and multi-instrumentalist Rachel Flowers is one of Prog’s most talented, best kept secrets. Since beginning formal music training at 4 1/2 years old, she has spent most of her life immersed in learning and studying music, excelling at every level and winning countless awards and accolades along the way. 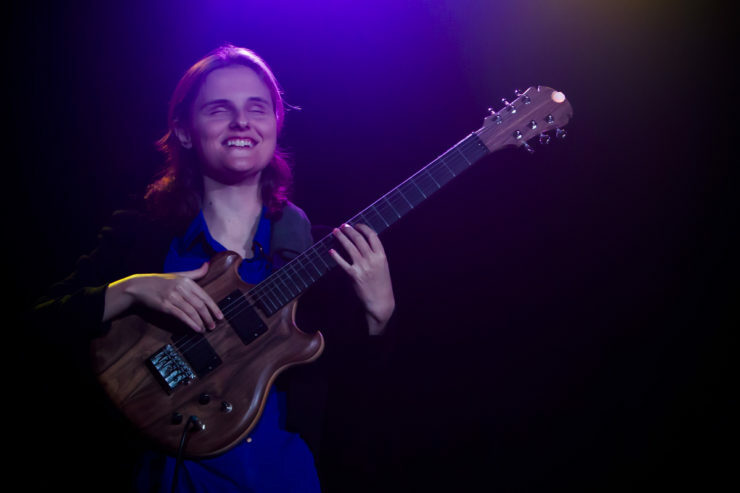 She taught herself to play guitar and bass, and through Braille Institute she learned to play the ukulele, later performing in local jazz clubs. Even more important, she blossomed into a prolific composer. She became the focus of a feature length documentary called Hearing is Believing, the soundtrack of which featured her own compositions, and collaborations with grammy winners Arturo Sandoval and Dweezil Zappa. Now 24 years old, Rachel has also released her debut album, “Listen.” Each piece was composed, performed, and recorded by Rachel. She has performed with a number of prog greats, most recently with Michael Sadler of Saga fame at this year’s Progstock. This is a performer not to be missed.